Music composed by John Debney. The movie soundtrack of Alex Cross will be released October 19, 2012 by Metropolis Movie Music. 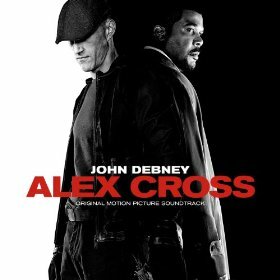 Scored by the Academy Award-nominated John Debney (The Passion Of The Christ, Iron Man 2, Liar Liar), the edgy, electronic approach meeting the conventional orchestral score sets the perfect tone for the thriller of Alex Cross. I really want this song called All Our Secrets Are the Same by Jackie DeShannon, but it’s not on the soundtrack. It doesn’t make sense to me that the only music is feature on the soundtrack is the film’s score (instrumental music). I tried to find an MP3 version, nothin’. I already got the other song I Alex Cross (Only God Can Judge Me) by Trick Trick and Dina Rae. Would someone get back at me on how to get the song please?